T o help the tax community understand the recent Tax Cuts and Jobs Act (TCJA), the IRS has created a landing page on IRS.govhighlighting provisions of the new law. 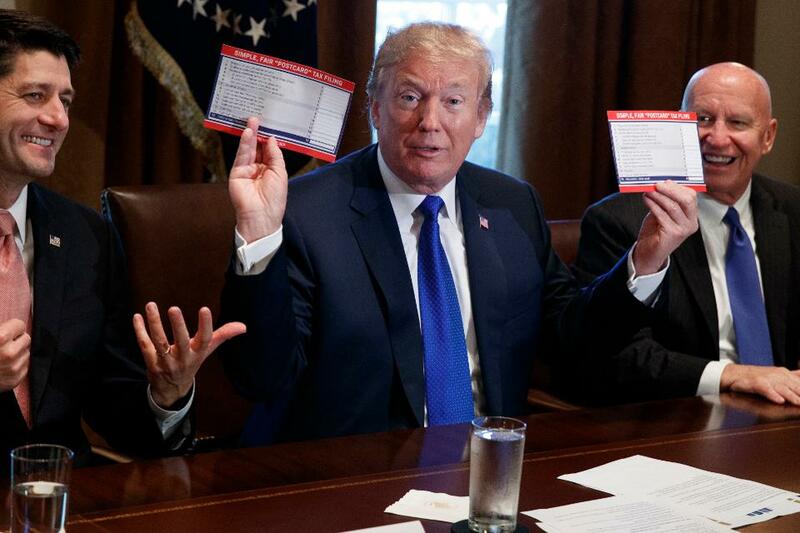 Major tax reform was approved by Congress in the Tax Cuts and Jobs Act (TCJA) on December 22, 2017. The IRS is working on implementing this major tax legislation that will affect both individuals and businesses. The New Page Includes a "One-Stop" Listing of Legal Guidance, News Releases and Frequently Asked Questions Related to the TCJA. The page will be frequently updated. The IRS will provide information and guidance to taxpayers, businesses and the tax community as it becomes available. Tax Advisors should check this page for updates and resource regularly. We Can Advise on How These Tax Cuts Can Benefit You! 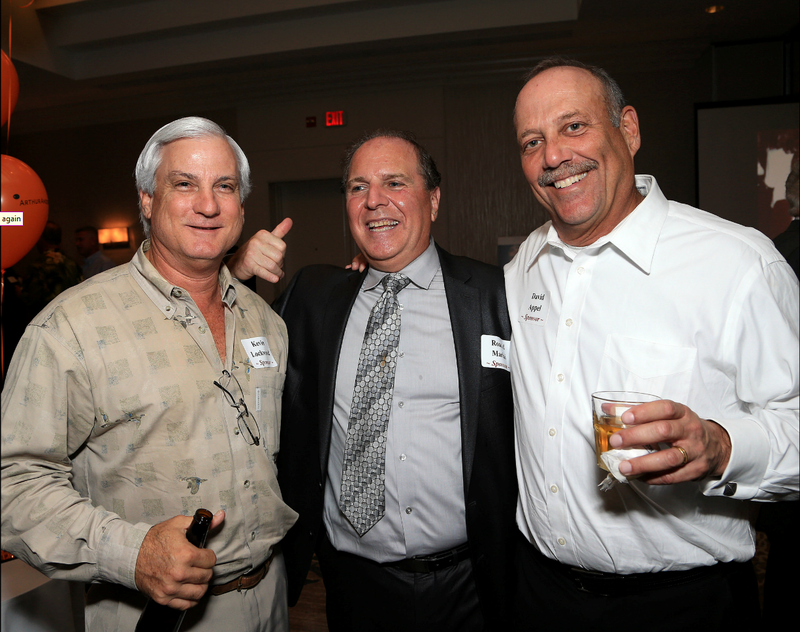 On 10/26/2017 I had the opportunity to go back to my roots at Arthur Andersen & Co. (AA&Co), which I get to do every other year, by being a sponsor of and attending AA&Co's South Florida's Semi-Annual Alumni Reunion. 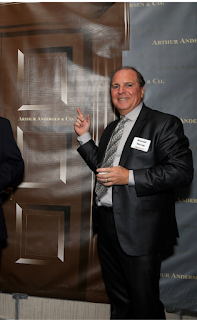 For those of you who don't know what I did before opening up our International & Tax Litigation Boutique 25 years ago (1993-Present); I was with AA&Co. for 11 years prior to that, in their Miami, Florida office (1982-1992). While there I had the wonderful opportunity of learning my vocation from some of the best in the business like Ivan Fagan, the firm's Real Estate Syndication Expert and Larry Levine, the Miami Offices resident Tax Genius, not to mention my long-term mentor and colleague Bill Pruitt, who was Office Managing Partner during the years that I worked at AA&Co. Since most of my clients where large multinationals, I had the opportunity over 11 years to learn some of the most advanced international planning techniques and then I had the opportunity to defend many of them before the IRS; which resulted in me being listed as 1 of 15 International Tax Specialist in AA&Co.’s Worldwide Directory and it also allowed me to teach annually at the firm's US Taxation of Multinational Activities in St. Charles, Illinois, along size such International Tax Giants as Andre Fogarasi, Richard Gordon, Diane Renfroe, and many, many, others Top International Tax Attorneys. One day in the mid-1980s, while I was looking out our Miami office"s windows on the 21st floor, it became readily apparent that Miami was rapidly becoming the International Cruise Capital of the world and as a man in his late 20s, I was determined to get a piece of it. So we start targeting and obtained numerous international cruise lines, as clients of the firm. 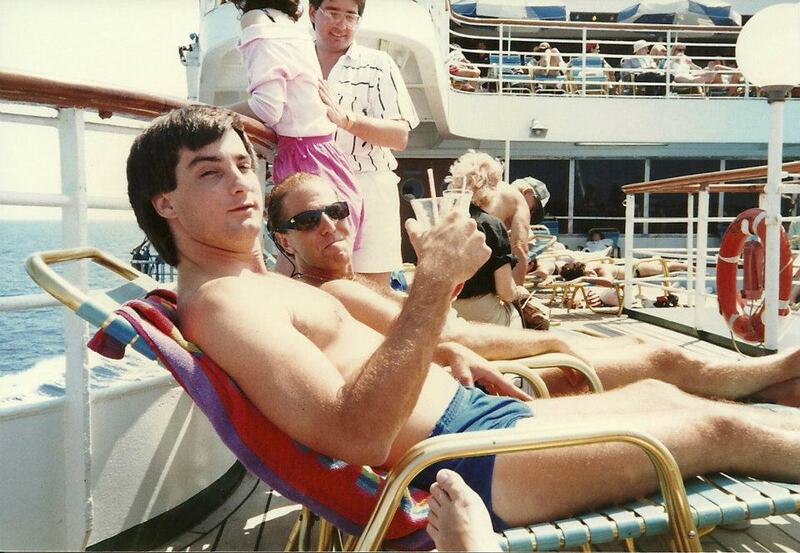 As a result of defending numerous international cruise lines clients, during the IRS Cruise Industry Tax Audits in the late 1980s, I also became 1 of 5International Shipping Specialist for AA&Co in the US. During my time with AA&Co, Arthur Andersen’s South Florida practice held a dominant position over that of the other international accounting firms. Its three practice units, Tax - Audit & Consulting, were consistently among the most profitable within the firm (based on profit per professional). The South Florida Practice had the Largest Share of Publicly-Held Clients and, because of its High Quality Service, it rarely lost a Client. A few of the long-time clients of the South Florida practice that remained clients until they were sold, or Andersen ceased business, included: Blockbuster Entertainment, AutoNation, IVAX Corporation, The Wackenhut Corporation, Southeast Toyota, KOS Pharmaceuticals, Republic Services, Sunglass Hut International, Steifel Laboratories, Watsco Corporation. Not to mention the numerous large closely held corporations, rivaling in size and sales, the above-mentioned publicly traded companies. I left AA&Co on December 31, 1992 and 10 years later in June 2002, Andersen was found guilty of obstruction of justice for shredding documents relating to the audits of Enron Corporation. 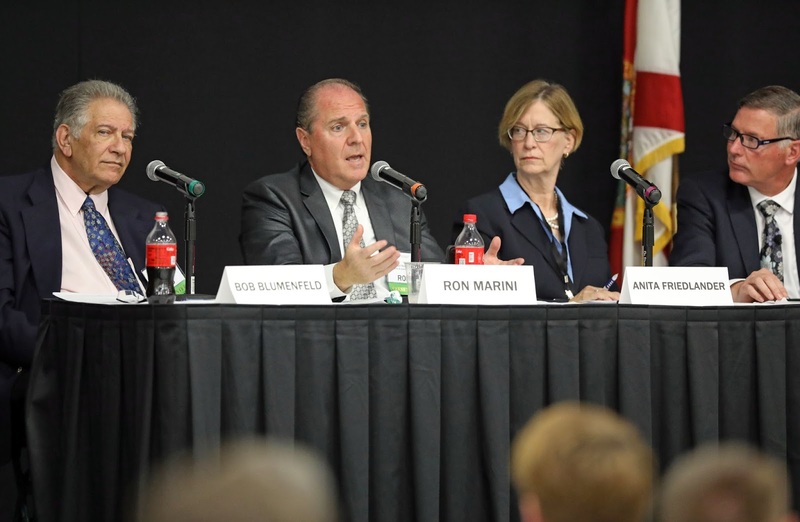 Andersen was forced to surrender its licenses to practice and in June 2002 the South Florida practice was effectively ended. In May 2005, the Supreme Court of the United States unanimously reversed the conviction, however, it was too late for what had once been the most successful professional services firm in the world with 85,000 personnel and over $10 billion in revenue. 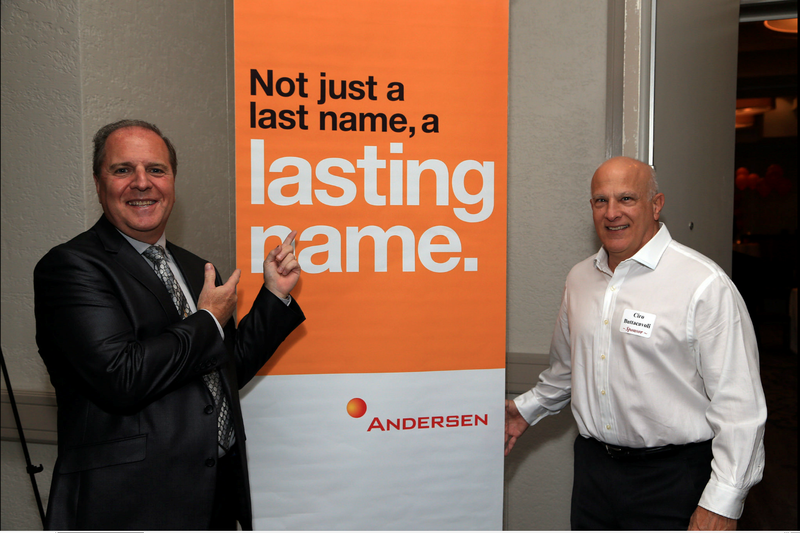 While at Andersen, we professionals were constantly challenged to improved our skills. The network of Andersen alumni in South Florida is still strong even though the firm ceased business in 2002. Many alumni are among the business elite in their local communities. Me & Kevin Lockwood of AA&Co, on my Client Sea Escape's Vessel. We 3 work in the same 10 person cubicle workspace at AA&Co in the 1980's. Robert Blumenfeld, Esq.,Ronald Marini, Esq. & Anita Friedlander, Esq. According to Law360, HSBC Holdings PLC could be hit with fines exceeding $1.5 billion from investigations around the world into allegations of tax evasion and money laundering at its Swiss private-banking subsidiary and other operations, according to the bank's annual report published Tuesday. Tax agencies, regulators and law enforcement authorities in the U.S., Belgium, Argentina, India and Spain are investigating or reviewing HSBC Private Bank (Suisse) SA and other HSBC companies, the bank revealed. It warned investors that other jurisdictions could launch their own probes. Allegations the bank is facing include tax evasion or tax fraud, money laundering and soliciting of unlawful cross-border banking, much of it centered on its Swiss private-banking unit. "Management’s estimate of the possible aggregate penalties that might arise as a result of the matters in respect of which it is practicable to form estimates is up to or exceeding $1.5 billion," the annual report said. "Due to uncertainties and limitations of these estimates the ultimate penalties could differ significantly from this amount." 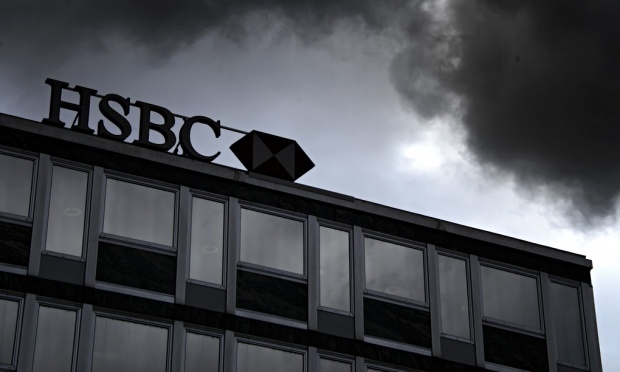 The International Consortium of Investigative Journalists and media partners around the world reported in 2015 on documents provided by a former bank employee that purportedly show HSBC’s Swiss arm helped clients get around tax authorities in their home countries and instructed them how to evade a European Union tax on bank deposits. HSBC’s outgoing chief executive, Stuart Gulliver, said on Tuesday that the bank has worked hard to improve its compliance capabilities and has made preventing financial crime a priority for the group’s management. We previously posted 146 Offshore Banks & Now Financial Advisors Are Turning Over Your Names To The IRS - What Are Your Waiting For? where we discussed that the IRS keeps updating its list of foreign banks which are turning over the names of their US Account Holders, who are now subject to a 50% (rather than 27.5%) penalty in the IRS’s Offshore Voluntary Disclosure Program (OVDP). This penalty is based on the highest account balance measured over up to eight years. committing to assist in responding to a treaty request that is expected to result in the production of un-redacted client files for U.S. taxpayer-clients who maintained accounts at these Banks and Financial Instructions and with these Foreign Financial Advisors. Undeclared Income from an HSBC Bank Account? 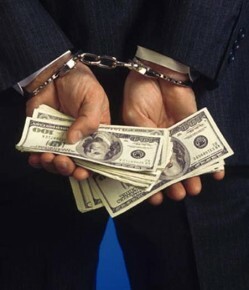 Are Offshore Accounts Quiet Disclosures Becoming More Risky? According to Tax Blawg the IRS is getting closer to ferreting out “quiet disclosures” by taxpayers who chose that route to address the problem of previously unreported offshore accounts rather than by participating in the Service’s offshore voluntary disclosure program (OVDP)? Tax Professionals and If Taxpayers in This Predicament Weren't Already Worried, They Should Be! 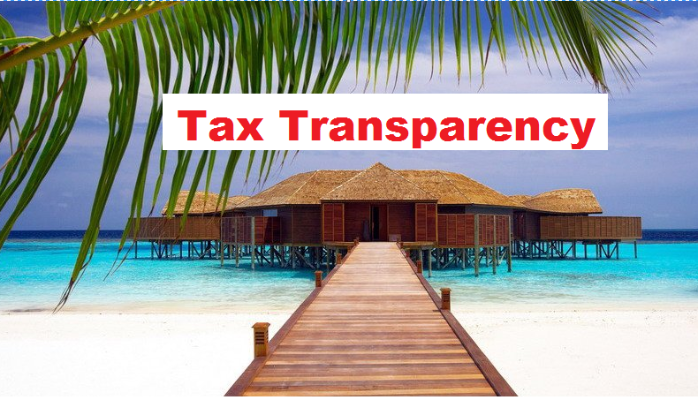 A quiet disclosure involves the filing of new or amended tax returns that report offshore income, and FBARs (Report of Foreign Bank and Financial Accounts) that provide other account information regarding the taxpayer’s interest in foreign accounts. It is a discreet disclosure intended to make a taxpayer compliant with his or her tax reporting responsibilities while avoiding penalties imposed under the IRS’s official voluntary disclosure program. To some, the calculus about whether to participate in the OVDP, follow the quiet disclosure path, or do nothing has been viewed as another form of the audit lottery, albeit one with very high stakes in terms of potential monetary penalties and possibly criminal prosecution. As virtually everyone should know at this point, offshore account holders can no longer rely on bank secrecy to protect them, so the issue of detecting unreported accounts has become more a question of when, not if. Although a quiet disclosure addresses the unreported account problem, either currently or retroactively, that is not necessarily the end of the story . . . or the risk. 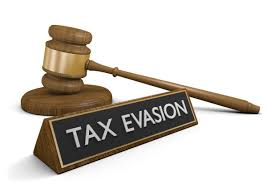 Earlier this year, the Government Accounting Office issued a report in which it noted a dramatic increase in the number of taxpayers reporting offshore accounts, concluding that the trend may reflect attempts to minimize or circumvent taxes, penalties and interest that would be owed if not corrected before detection or even upon participation in the OVDP. In predicting the effectiveness of this undertaking, it is worth noting that the IRS has a wealth of experience in implementing computer algorithms on a much larger scale to ferret out trends warranting closer scrutiny. One need look no further than the Services’ Discriminant Function System (DIF), which is used to flag tax returns for possible audit, among the hundreds of millions filed, to appreciate that improved detection of quiet disclosures is well within the IRS’s capabilities. Therefore, taxpayers who rely on a limited IRS resources justification to ignore the directional trend regarding quiet disclosures are likely to wish they had examined the issue relative to their own personal circumstances a lot more closely. At the very least, given the prevailing wind on this issue, it would be prudent for those who have made quiet disclosures or are contemplating one to revisit the issue with their tax adviser.